Looking for a dog shaped birthday cake? | Land of Cakes New York makes them. 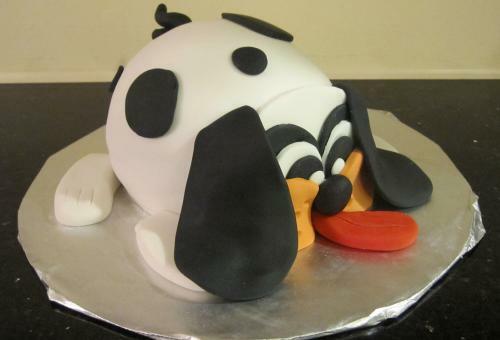 Delight your little one with this adorable dog shaped cake on his birthday. This cute dog shaped birthday cake will surely be the center of attention before it is joyfully gobbled up by him and/or his dog loving friends.